2 units shown; priced individually. 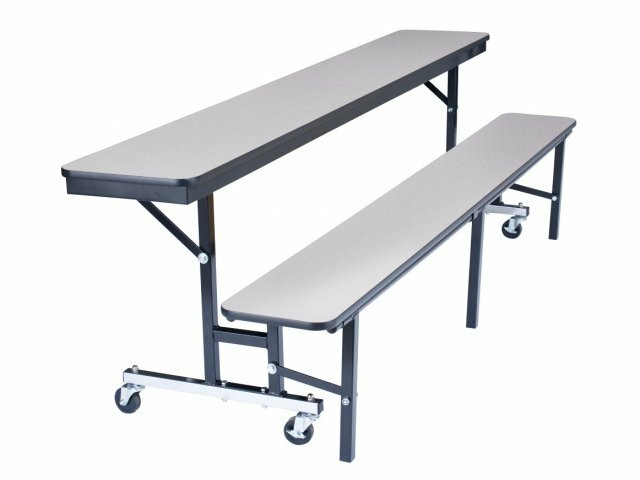 If you want to keep your eating space germ-free, getting a Convertible Bench Cafeteria Table with ProtectEdge is a wise choice. 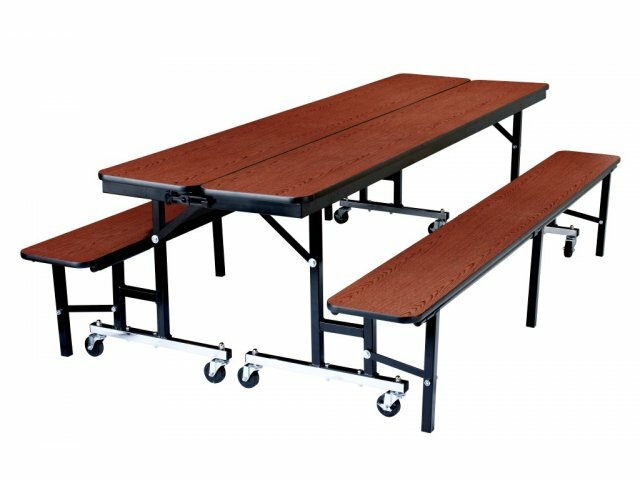 These versatile Convertible Bench Cafeteria Tables from NPS offer three options in one. 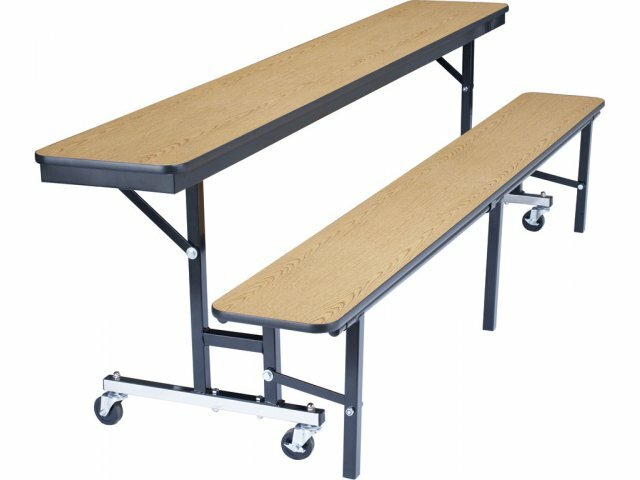 Each unit can be set up individually as either a bench with a back or a bench with a writing surface, or two tables can be attached with built-in ganging devices to create a cafeteria table. 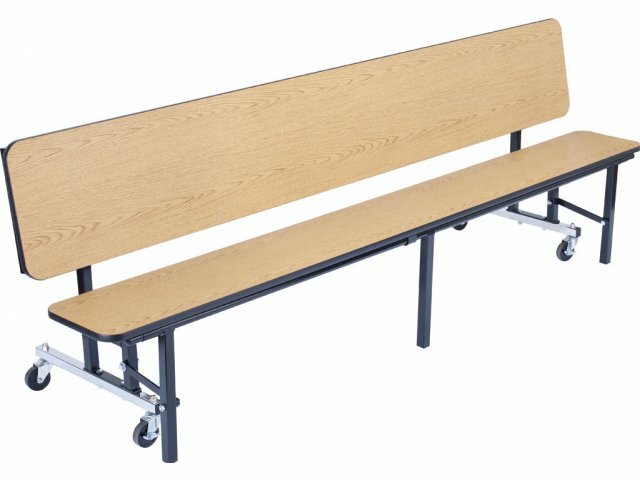 Flip-up benches offer compact, pinch-proof folding for convenient storage and transport. 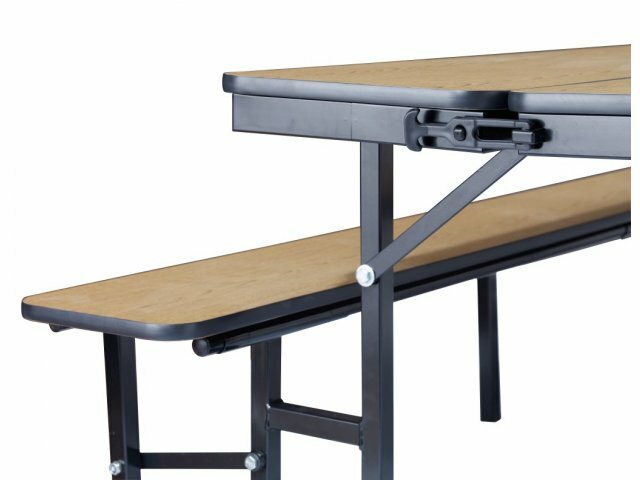 Convertible bench cafeteria tables are built to stand up to years of heavy use. Laminate surfaces are supported by 16-gauge steel aprons and 14-gauge steel frames. Each unit glides smoothly into place on four casters. 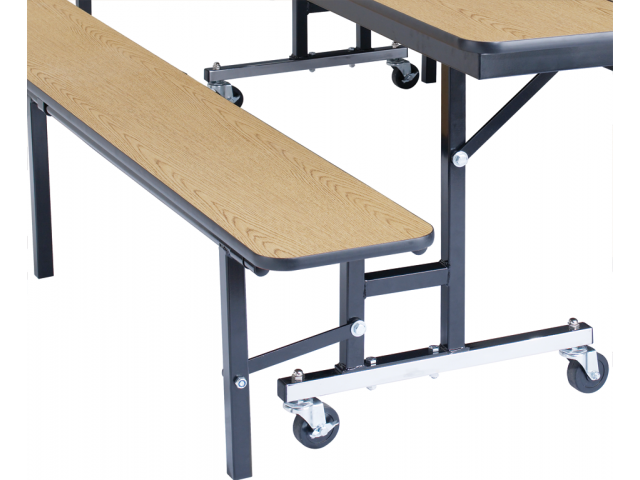 Two locking casters and reinforced nylon glides with steel inserts on bench legs prevent sliding while tables are in use. 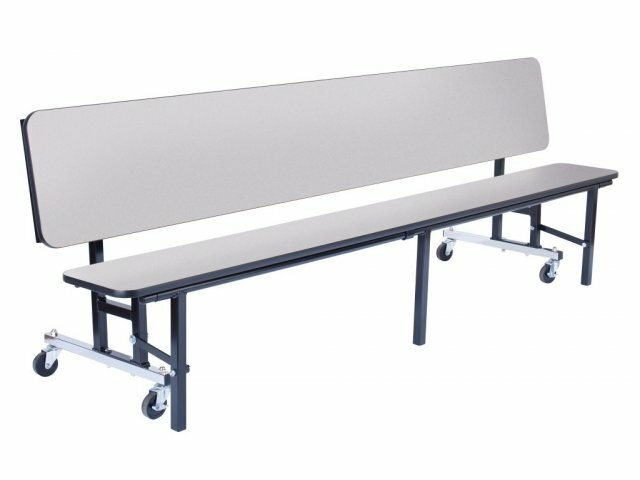 Whether you need assembly seating, study hall tables, cafeteria tables or all three, convertible bench tables are a smart choice. Enhanced Protection: Anti-bacterial ProtectEdge prevents food from being trapped between the laminate surface and the table edge. 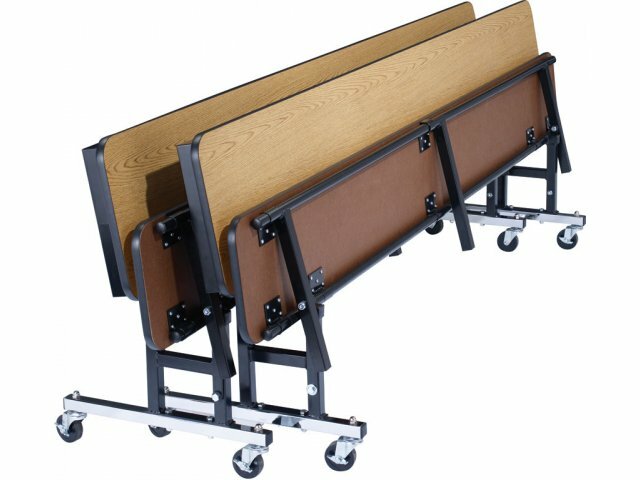 Flexible Functioning: Use as a bench with back, bench with table, or combine 2 units into a cafeteria table with benches. Easy Transformation: Just rotate bench backrest to provide a versatile 15"-deep writing surface. 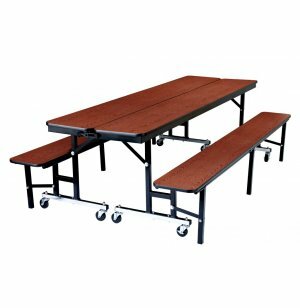 All Inclusive: Built-in ganging brackets included to connect two units and create a large table with two benches. Space Saver: Benches have easy, pinch-proof folding for convenient transport and storage. Sturdy Support: Frames are made from heavy-duty, 14-gauge steel, with 16-gauge steel aprons under surfaces for enhanced support. Enhanced Base: Entry locations are chrome plated to prevent wear. Safe Design: Individual tables have no tripping hazards underneath the work surface. Clean Floors: Rolls on four industrial grade, non-marking casters (2 locking). Sturdy Positioning: Non-marring reinforced nylon glides with steel inserts installed over leg uprights.